1. Papercuts are a job hazard. And they really, really hurt. And at least once I got blood on the archival material. Archival work can be solitary. I don't mean the kind of loneliness that comes from hanging out in a basement vault all day, though that’s part of it. Being physically alone is one thing, but perhaps more difficult was feeling like I was the only one who cared. It was hard to keep the value to future researchers in mind when no one seemed to care about the collection right now. Developing a supportive network of archivist pals (on twitter, for example!) really helped. 3. You have to talk to people. A lot of people. I didn't get into archival studies because I thought I'd get to be a hermit, but I wasn't prepared for the amount of talking I'd need to do. Even working in a closed university archive without a reading room, I talked to my colleagues and my manager, of course, but also our chief librarian, the head of special collections, and the dean on a regular basis, not to mention the recruitment department, the student newspaper, and the committee in charge of planning anniversary celebrations for the institution. I lost whole days of processing work (on a deadline!) because I had to handhold an administrator through finding appropriately diverse historical photos of celebrations past. 4. You become an obsessive about your piles. When I worked as a processing (arrangement & description) archivist, I became a neat freak. I've never been a particularly tidy person, but I would be in the middle of sorting a collection of letters when suddenly I realized it was 5pm and I needed to go home. I'd have a conference room-sized table covered in discrete piles of ephemera, peppered with little folded notes to my colleagues: PLEASE DO NOT TOUCH. IF YOU NEED THIS TABLE, PLEASE LET ME KNOW. PLEASE, PLEASE DO NOT TOUCH MY BEAUTIFUL PILES OF STUFF. I learned about archiving as a holistic endeavour - arrangement, description, appraisal, conservation, and access as many aspects of one job. In large or well-resourced institutions, this is patently untrue, of course - there are departments for acquisition, appraisal, and description, with staff members who rarely cross over into other areas. Lots of workplaces, though, are small enough that everyone wears multiple hats. I was, for a time, the only archivist, so I got to wear all the hats. It was during this time that I realized a core truth about myself: I hate writing descriptions. Recognizing and being honest about the parts of the job that appealed to me and the parts that didn't gave me a chance to grow as an archivist in productive ways, and it opened a lot of doors to the world outside of our tiny profession. 6. ... and you don't have to live it. Being an archivist is a job. Fobazi Ettarh's “Vocational Awe and Librarianship: the Lies We Tell Ourselves” applies to archivists too. Some people live their work, at the workplace and outside it, and that's great if it works for them. But I’m not a lesser archivist because I prefer to have a solid work/personal life divide. 7. You have to justify your work. In my first job as an archivist, I had to have one particular discussion over and over again: why did the archival collections need specific description software? I ran out of ways to say, "Because archival data is different than [library/digital humanities/scholcomm] data" in a way that made a lasting impact. It was frustrating, and it taught me a sobering truth: my colleagues who weren't archivists didn't know much about archives. I learned to be patient. I learned to repeat myself. I learned to stick to my belief that our collections deserved to be properly resourced. And I learned to do it with a smile on my face… most of the time. 8. You can do something else. The archival world is small, and we're all competing for jobs, and there isn't enough work for the number of archivists who are graduating every year. I lucked into a good job as an archivist, but soon realized that the day-to-day work of a lone arranger just wasn’t for me. I was able to convert my diverse experience into a totally different kind of library job (communications! ), and then moved right out of archives altogether and into software development. Look around and you'll find that lots of professions are looking for smart, passionate stuff-organizers. 9. No one has the answers. Email, social media, digital preservation - we're still figuring it out. I regularly feel lost when it comes to these topics, but I’ve realized over time that it's okay to feel lost because we're all lost, as a profession. It's easy to focus on the small majority of people and institutions that are making headway - they're the folks who present at conferences and write papers and tweet about their amazing work. They’re wonderful! They're truly doing some exceptional work. But it's also okay to be the person who is doing the little things. 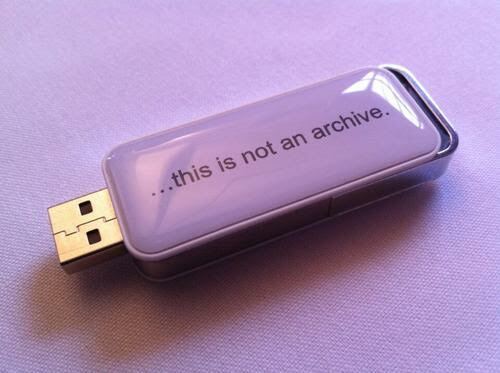 You want to be ahead of the game on digital preservation? Make sure that your content isn't stored on a hard-drive and you'll be doing more than many. As we continue to push the boundaries of what archiving comprises in the 21st Century, it's okay to take an inch rather than a mile. Positive incremental change can be as powerful as the big leaps. I've talked to a lot of archivists about The Moment: the first time you realized that you were, as an archivist, responsible for something magnificent. My moment was holding a field book that was owned by Frank Urquhart who, along with his wife Norah and local Mexican guides, discovered where monarch butterflies migrate in winter. It wasn't the most exciting piece of archival content I'd handled, but it had a deep resonance for me, a kid who loved bugs and nature documentaries and was fascinated by the story of monarch butterflies migrating to Mexico. Holding that field guide, I felt connected to the Urquharts, to scientific discovery, to something outside my archive. That moment is the one I think about when I'm downtrodden about lack of funding or bad policy. It's a moment that will always stick with me. And it’s a moment I’ve taken with me, even as I walked away from a traditional archivist role, as a reminder that my work has enduring meaning. Sara Allain still calls herself an archivist and librarian, even though she decamped from the profession to work for a company that makes free and open source archival software. Spending her days frolicking through METS-XML files, format policies, and the vagaries of the software development lifecycle, she's never been happier. She's on twitter at @archivalistic. I went to library school to be a cataloger. There wasn’t an official cataloging track, but it was pretty easy to design your own. I also went to library school almost 20 years ago, in the midst of a massive shift in how library schools were structured – my first year I attended a Graduate School of Library and Information Science, my second year it was an iSchool! This is a mix of things I wish I’d learned in library school… and some things that I’m glad I learned later. Diversity and inclusion. My advisor, the wonderful Allyson Carlyle, did introduce us to the work of Sandy Berman. But in general, taking a critical approach to librarianship wasn’t a concept to me at the time. There was no institutional expectation that anyone know anything about cultural issues other than “freedom of information” in a really narrow sense. And by narrow, I mean it didn’t even hint at the history of segregated libraries in the US, nor did it critique library workplace rules that forbid talk of unionizing. Why does this matter for catalogers? Because if we’re creating and applying cataloging standards based on a monocultural approach to the world, we’re inadvertently excluding or harming some of our patrons. Advocacy skills. We did have some discussions about how to respond to patron advocacy in terms of collection development, but I don’t remember any discussions about how to advocate with external agencies for the library, for library workers, or for patrons. I accidentally wound up at a library with strong unions, and it has overall been an incredibly positive experience for me as a worker. I’ve also been really impressed by the organizing work of librarians including Emily Drabinski. I still wish I’d had some training in how to act as an advocate for myself and others. Teaching and pedagogy. I was going to be a cataloger, I didn’t need to know how to teach! Insert crying gif here. This was the wrong choice. Real life led to me doing library instruction classes as part of my current job, and some training would have for sure helped. But also, and more importantly, if you’re a cataloger you’re probably going to end up teaching or training others how to catalog stuff at some point. For people who go the academic route, this might be during conference presentations. For people who choose public libraries, you’ll probably end up presenting information to coworkers or supervisors or community groups at some point. Learning how to do this in a classroom setting is far preferable to being dumped in front of people and told to speak. Technology can make you feel ambivalent. We had access to a range of technology classes -- how to build your own computer, website design, database design, etc. And I took all of these that I could, because they were so practical and because tech was cool. (This was the late ‘90s, people. It was a brave new world.) Anyway, since then I’ve occasionally tried to take coding classes because it seems like something catalogers should do. But frankly, I don’t find the topic interesting on its own. Give me stuff to organize and tell me what tools I need to do the job, and I’ll work through it. But learning tech for its own sake? Meh. Theory is important. You can get practical, hands-on experience at work, volunteering, internships, but you’re not going to have this kind of opportunity to have guided exposure to theoretical analysis outside the classroom. Your library school doesn’t offer those classes? Depending on your academic background, see if you can take an ethnic studies, disability studies, gender studies, or sociological theory course as an elective. Humans are the most important part of being a librarian, so it’s good to know more about them. Take statistics. You may not want to do formal quantitative research, but learning statistics is really helpful training for when you have to interpret data, make decisions, and create assessment and budget reports. Look around at your classmates. Who’s not part of your cohort? Who’s the only one of their kind in your cohort? Maybe you can’t do anything as a student to fill in these gaps, but pay attention -- and start thinking about how this will impact your professional network and professional practice. Patience. It doesn’t need to all happen right now. It took me several years after library school before I started coming into my own. By the time I figured myself out (thank you, therapy! ), I was far outside of the eligibility period for any of those new professional opportunities. We don’t all have to pop out of grad school fully grown. It’s ok to be a slow bloomer. Reasonable expectations. You won’t learn everything you need to know in library school. This isn’t a bad thing. If all goes well, maybe you’ll be a person who creates new things for students to know in the future! Jessica Schomberg is currently serving as Library Services Department Chair at Minnesota State University, Mankato, juggling other responsibilities including Media Cataloger and Assessment Coordinator. This is hir FOURTH post for LtaYL. The first was “My (Library) Life with Invisible Disabilities”. The second was “The Power to Name”. Most recently, ze wrote an interview post. Ze tweets as @schomj. We've been talking about assessment a lot at work. More importantly, we're talking about meaningful assessment, which is good because if we were only going to discuss counting things - inputs and outputs - I'd roll my eyes so hard that I could possibly do damage to my ocular nerve. And then I'd pass out from boredom. Counting just to count doesn't accomplish anything, and actually adds to your workload without any kind of meaningful outcome. Counting just to count literally and figuratively is just a waste of time. You frequently end up gathering information you shouldn't have. I get angry when I think about all the surveys I've taken that want to know my gender or my age that have NOTHING to do with gender or age. You will never have a consistent definition of anything you're counting. Want to know how many books do you have? You have to figure out what do you even mean by books. Titles? Monographs? Physical entities? Want to know how many people come into the library? Are we doing a door counter? Is it actually working? What about people who go out and come back in again? Want to know your circulation numbers? Should renewals be included? What about things that are pulled off the shelf but never checked out? And so on and so on... And this is exacerbated when you are talking about multiple institutions instead of just multiple people. Yes, I'm looking at you, IPEDS. Instead of gathering numbers because "we've always done it this way" or "we need to give them some data", try thinking about why you want the information. If you're trying to make decisions about staffing levels, numbers are exactly the thing to do. But if you're trying to learn what gaps you have in your collection, you'll need to gather a different kind of information as part of reference interactions. Also try thinking about how you'll use the information. If it's a report that you've sent to the provost every month for years and years, maybe ask your director to check with the provost to see if they find the report useful. There are so many good places to look for qualitative assessment tools in libraries. The Ethnographic Research in Illinois Academic Libraries (ERIAL) Project is a good place to start if you're new to the idea. I've used a lot of techniques I learned from reading that website and a book that came out of the project, College Libraries and Student Culture: What We Now Know. Also attended a talk given by one of the authors, Andrew Asher, a few years ago. And that's what you should do - look to see what resources you can find at conferences. Do a quick search in an education database for "qualitative assessment and libraries". If you're at an academic library, go talk to people in the sociology department or anthropology department or pretty much any social sciences. I want to say this again: it's not so much that I hate quantitative data as that I hate our over-reliance on it as some kind of be-all-end-all method of assessment. We need to have more ways of looking at how we're doing than just counting inputs and outputs. I hope I've convinced you of that. A long time ago (25-ish years) in a Galaxy far, far away (a Boston suburb), my parents gave me The Golden Treasury of Poetry. I think it was for Hanukkah, but it might have been for my birthday. It may sound like hyperbole to say this book changed my life, but it really did. In particular, the poem that is featured above blew my little mind. Up until I read "The Fish" by Elizabeth Bishop, I had no idea that poems didn't have to rhyme. I didn't know poetry could be so visual and symbolic and still feel good as you pronounce the words. Up until then, the poetry I'd read was probably nothing more than doggerel. Lines like "backed and packed with tarnished tinfoil" delighted me endlessly. I should say "delight" instead of "delighted" because "The Fish" is still, to this day, my favorite poem. The rules of a sestina are set and painstakingly particular and exacting. It's using the same words over and over again in a very specific pattern, and is sometimes seen as an intellectual exercise, but Bishop makes the intellectual exercise sing. I can pick up a collection of her works and open to any page and know I'm going to find something I love. Can't say that about any other poet, except maybe Shakespeare. So how about you? Do you have a favorite poem? Poet? Please share!